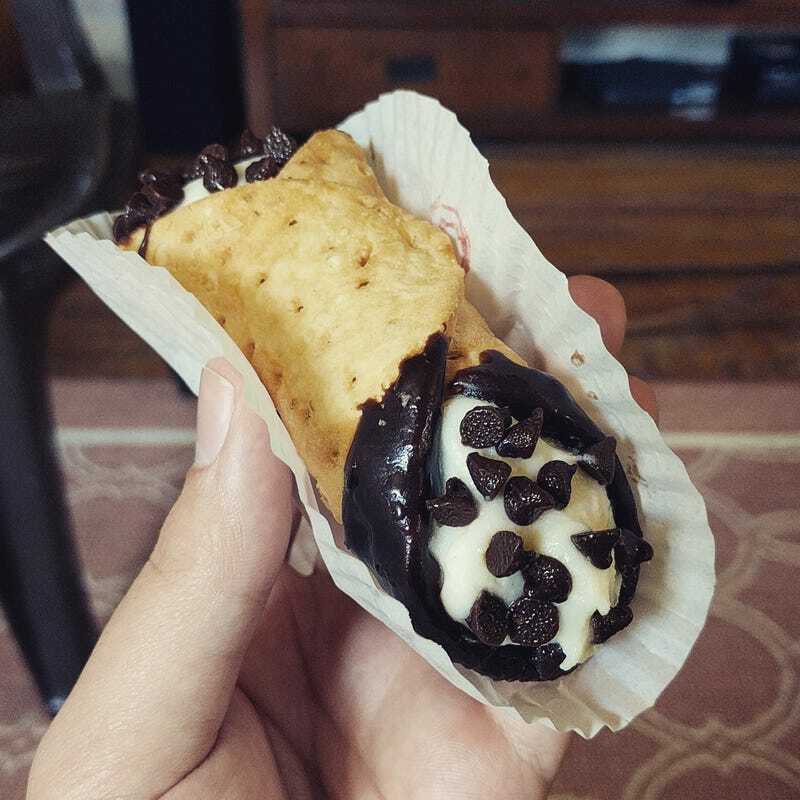 Cannoli are really hard to find in rural Ohio, so I generally only can get them when we go visit family in Detroit. It’s probably been at least a year since I last had a Cannolo. Imagine my surprise when my mom comes home from the little corner grocery with a pastry box containing half a dozen Cannoli!